Public Reason publishes two issues per year, in June and December. All articles are available for download as .pdf, .mobi, and .epub, but the journal is also available in print. 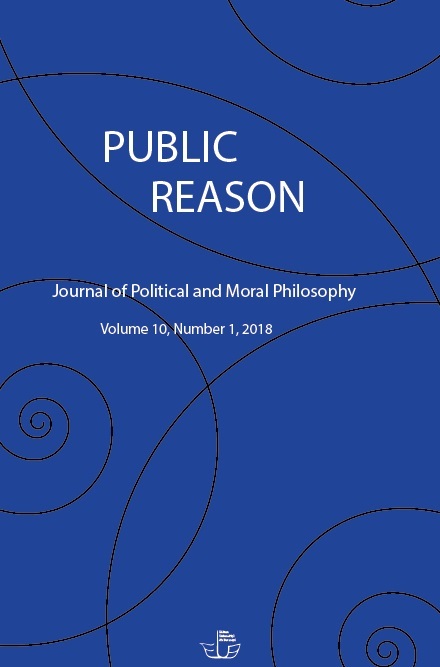 Public Reason is an open access journal. All content is freely available without charge to the user or his/her institution. Users are allowed to read, download, copy, distribute, print, search, or link to the full texts of the articles, or use them for any other lawful purpose, without asking prior permission from the publisher or the author. This is in accordance with the BOAI definition of open access. The content published in Public Reason is licensed under a Creative Commons Attribution-NonCommercial-NoDerivatives 4.0 International License.